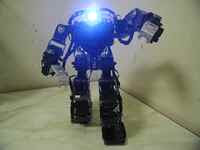 Humanoid Helper Project 2nd, sponsored by ROBO-ONE Committee, took place at Housquare Yokohama on Feb 20, 2010. 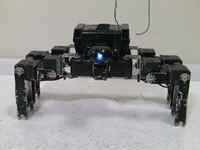 The purpose of Humanoid Helper Project is to commercialize useful robot for human through competitions. 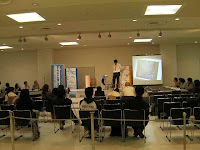 The 1st competition preliminary took place as ‘Helper Robot Project’ in Kawasaki on Aug 17th and final took place on Sep 6th, 2008. In the competition, controller of robot could not handle by watching the robot, but had to handle through camera attached by watching the screen on PC. Because, robots will have to go shopping for their owner by themselves in future. Competition was consisted with following 3 events in the preliminary on Feb, 20th. Three big robot, Doka Harumi (Doka project), THKR-4 (CAP Project) and Musashi (MARU Family), attended the competition. The 1st place was Musashi, the 2nd place was THKR-4 , the 3rd place was Doka Harumi in the preliminary competition. The details were also described in Game Watch by Moriyama.